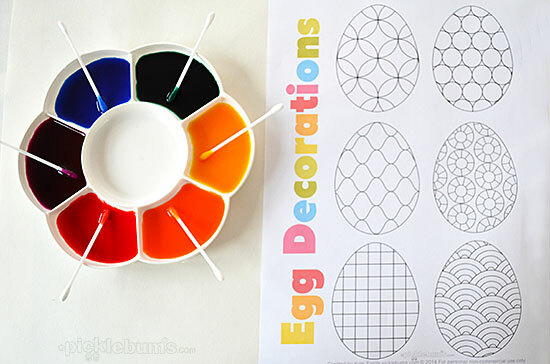 Make an Easy Easter Decoration. Half of the school holidays are already half over, and Easter is only a week away! There were so many things we wanted to do this week, but the constant rain has meant we’ve been stuck inside for most of the time. And when I have four kids, aged 10-3 years, stuck inside for a week, I always break out the art materials to save everyone from going nutty! 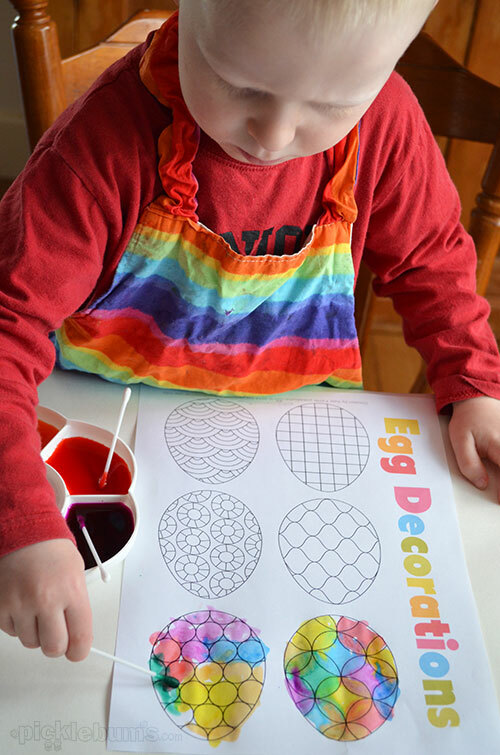 Today we decided to bring a little colour to our gray and foggy day, and make some easy Easter decorations. I made a quick easter egg printable which you can download here. Then we got out the marker paints we have been using all week (we did some crayon resist with them earlier) and some cotton buds (q-tips? What do you call them?) and got to work making them bright and colourful. 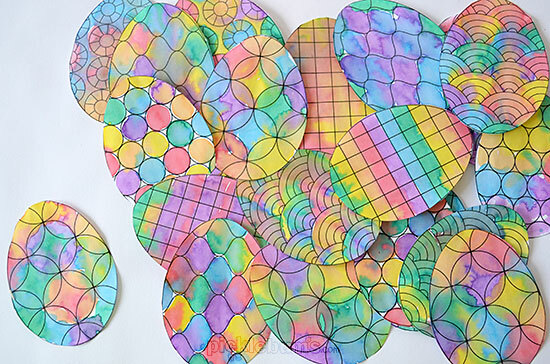 Once they were all painted and dried we cut them out, and wondered what to do with them. They’d be lovely stuck on the front of a blank card for an Easter greeting. They’d also look great hung from a branch as a mobile, or hanging decorations on an Easter tree. 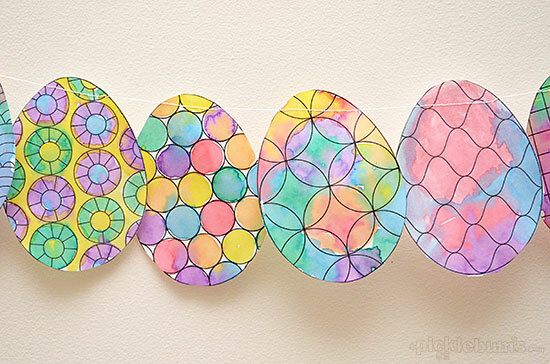 But we went with the quick and easy method and sewed them into an Easter garland. We used the same method to make our kid-made bunting last year and it is super simple. 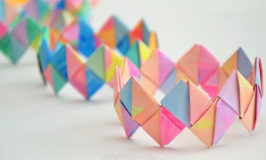 Using your sewing machine, begin by sewing a little empty thread to start your garland. 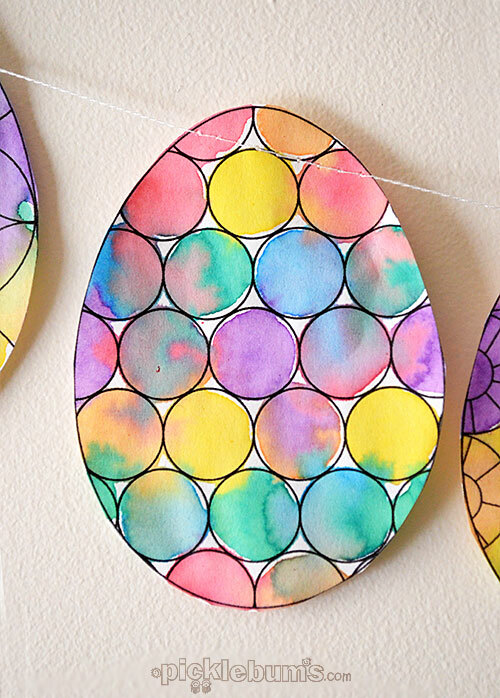 Then simply begin feeding the paper eggs into the sewing machine, sewing a straight stitch across the top of each egg, one after another, with a little gap between each one. Sew some more empty thread at the other end, and you are ready to hang your Easter decoration. We don’t decorate much for Easter but this easy Easter decoration has definitely brightened up our gray day! How ADORABLE! 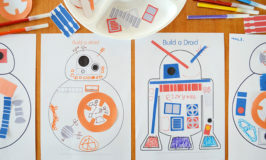 Such a lovely activity to do on such a rainy day. I can’t wait to do this with my little girl. Thank you! Gorrrgeous! Just about to print now! Thank you for sharing! These look so good but when I click the link to download nothing happens. Help please? Sorry you are having problems Sarah, how frustrating! The printable is a pdf file so you will need adobe acrobat (which is a free download) or another pdf reader to view, print and save the file. Love these Kate…was looking for something last minute to do with the kids with watercolours today and now I have it…thanks!! 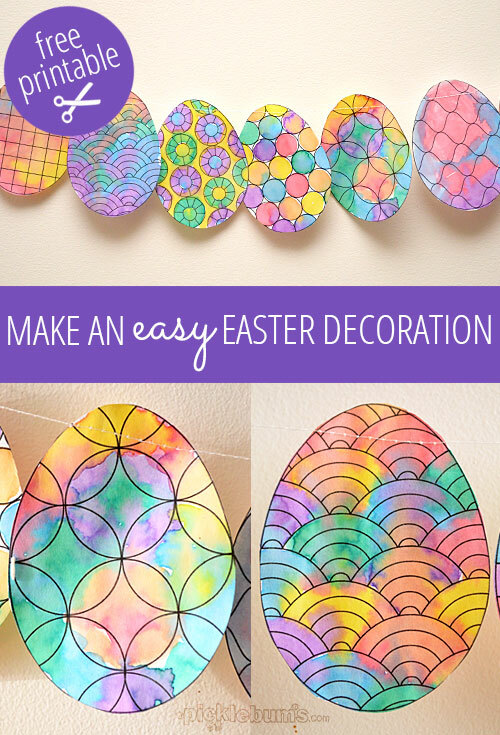 Home » Make an Easy Easter Decoration.